The sights of the island are particularly interesting. 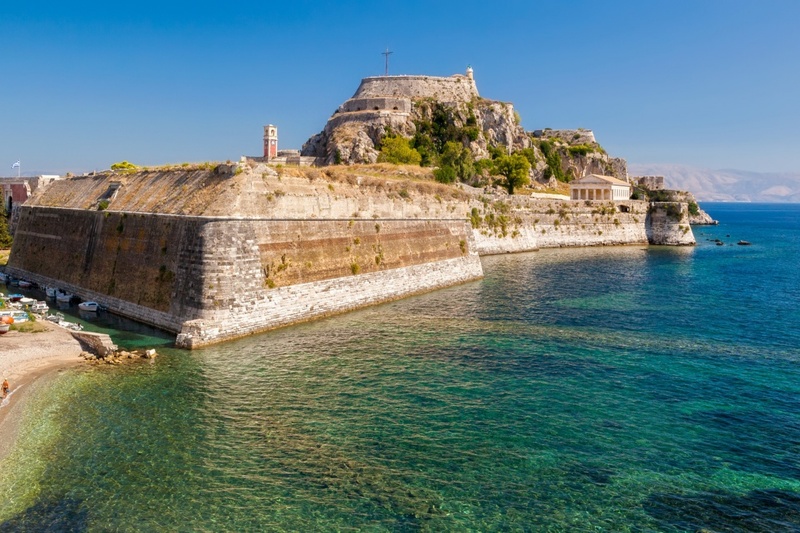 The Old Fortress, also called Fortezza, is one of the highlights in Corfu Town, east of the central square, the 'Spaniada'. It's home to the central library, the historical archive and the Byzantine Collection. Here you'll also find the Lighthouse, the Great Clock tower and parts of the Ionian University. Other outstanding sights include the Palace of St. Michael and St. George, the Asian Art Museum, the Municipal Art Gallery and the Prehistoric and Classical Antiquities, the building of the Ionian Academy, the cosmopolitain Kanoni district, the gardens of Mon Repo, the Corfu Reading Society (founded in 1936 ), the Kapodistrias mansion, the monastery of Panagia Vlacherna with the famous Mouse Island, the roman baths in Acharavi, and of course the Achilleion of Princess Elizabeth. Natural attractions are the Antinioti lagoon, a protected wetland, the forest of Arkoudilla and the Canal d'amour on the beach of Sidari.